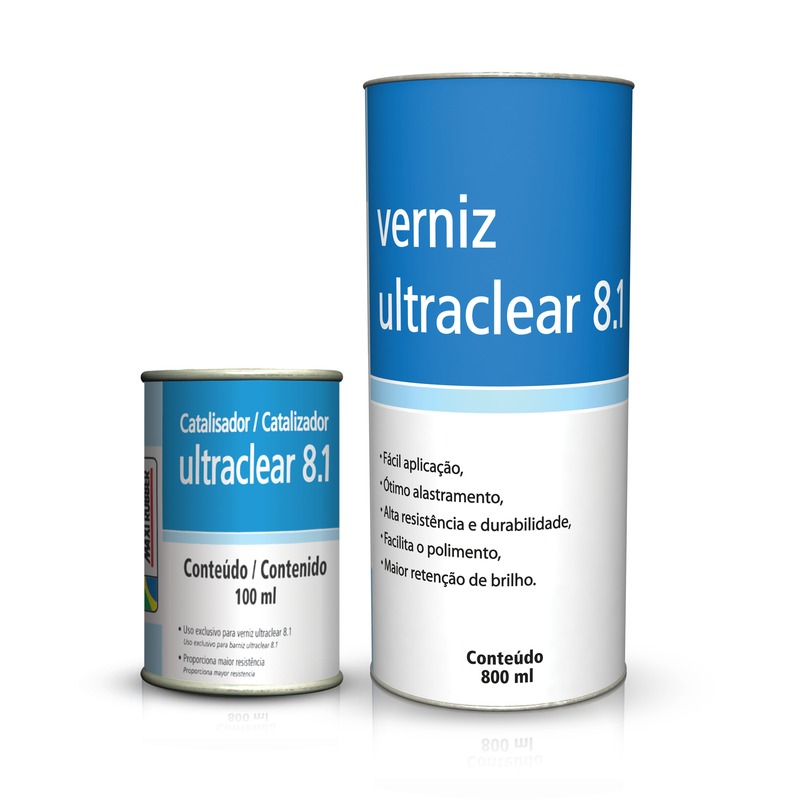 Polyurethane varnish, indicated for final finishing on polyester base. Used in general repainting and retouching (parts / pieces). Apply 3 to 4 underlays, respecting the application interval of 5 - 10 minutes between underlays. Varnish: Acrylic resin, organic solvents, and additives.